While there are numerous examples of high-profile companies that have pledged to go all-in on the public cloud, industry estimates suggest just 20% of enterprise applications and workloads are running in off-premise environments at present. 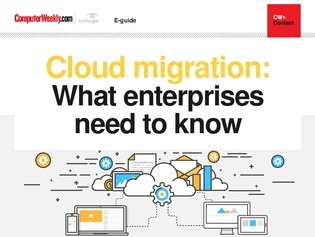 Given the cloud market is still considered to be in its relative infancy that is not necessarily a bad thing, but simply indicative of the fact that for many enterprises migrating to the cloud will involve much more than simply lifting and shifting workloads from one environment to another. For organisations that run on legacy, on-premise hardware, moving to the cloud may require a complete refactoring of their IT estate, and a complete overhaul of how their IT budgets are managed to accommodate the pay-as-you-go model most providers operate on.